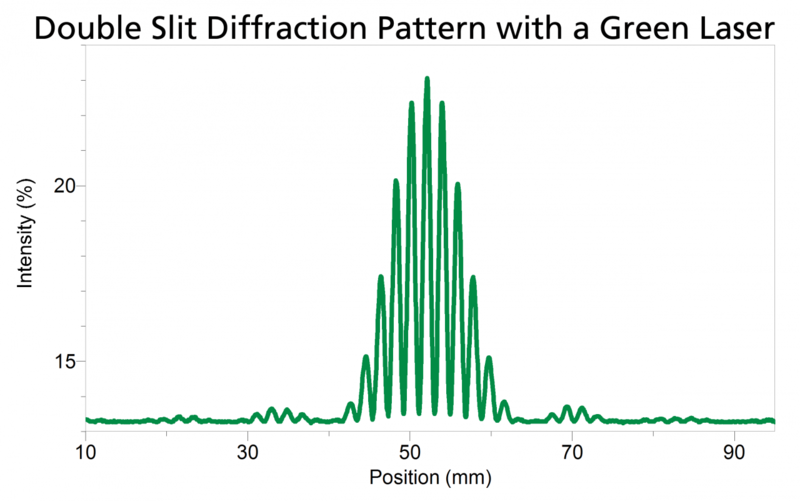 Use the Diffraction Apparatus to map light intensity vs. position for various slit geometries. 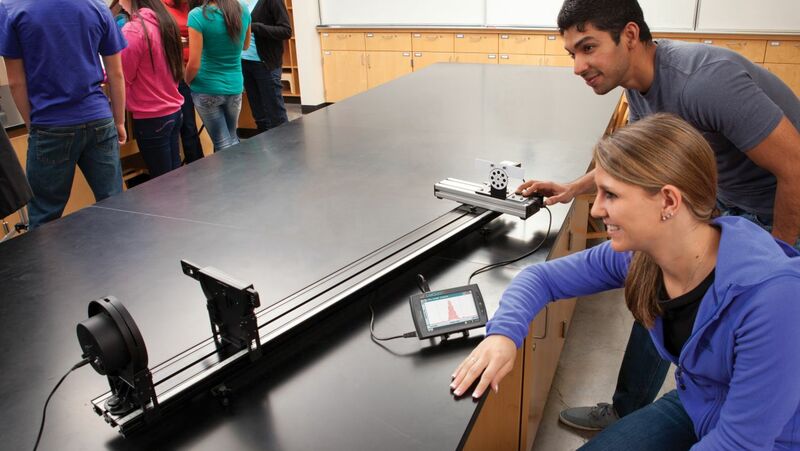 The Diffraction Apparatus let students create, view, and measure diffraction and interference patterns. The included Red Diffraction Laser provides a clean monochromatic light source. Slits are made by depositing metal film on glass, creating extraordinarily clean slits with fully opaque blocking areas. These high-precision slits cast clean diffraction and interference patterns, ideal for quantitative matching of intensity vs. position predictions. The Linear Position Sensor and High Sensitivity Light Sensor completes the Diffraction Apparatus. In order to provide excellent spatial resolution, a selectable entrance aperture restricts the width of the pattern viewed by the High Sensitivity Light Sensor. The light sensor has three ranges, allowing the study of fine details or gross features of patterns. 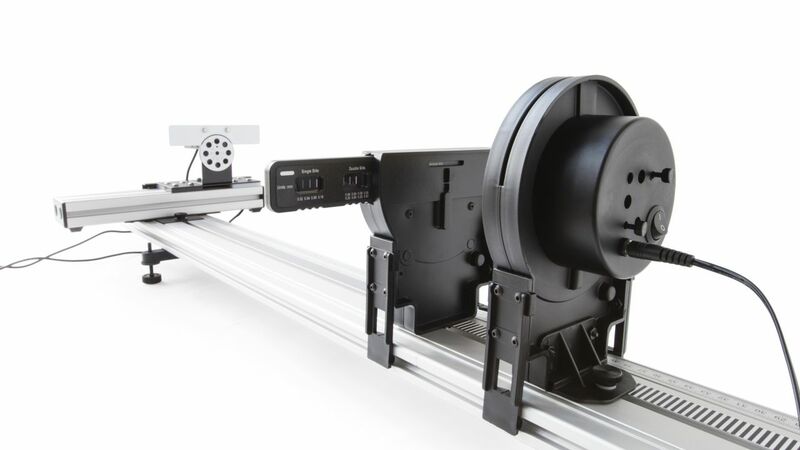 To measure position, the light sensor is mounted on a novel Linear Position Sensor. This position sensor uses a precision optical encoder to measure translation with better than 50 micron resolution. Since it is optically based, without gears or racks, it has zero backlash. 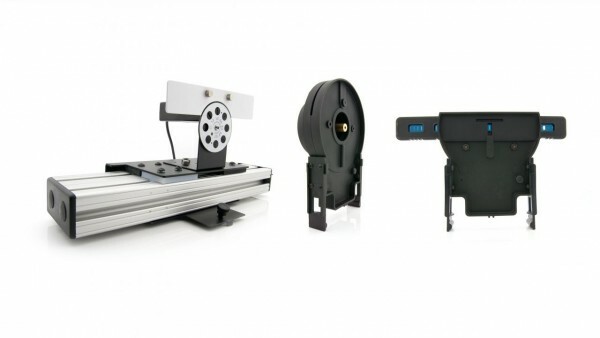 Data collection is performed by choosing a slit, directing the laser through the slit, and choosing an entrance aperture for the light sensor. Both the light sensor and position sensor connect to your interface. The light sensor is moved by hand over a 150 mm distance, tracing out the diffraction pattern. The Diffraction Apparatus requires a Combination 1.2 m Track/Optics Bench individually or part of the Dynamics Cart and Track System. An optional Green Diffraction Laser is also available, so that the effect of wavelength on the pattern can be measured. Weiterführende Links zu "Diffraction Apparatus"